If you're reading these words, then you are almost certainly one of two things. A beginner in search of harmonica lessons. You're confused by the dizzying array of instructional materials currently on the market. You don't want somebody who talks over your head, but you don't want somebody who condescends, or pretends. And you don't want to waste your time. You're looking for guidance from a harp-playing pro--somebody who has traveled the road you're just setting out on, knows how it feels to be where you are, and wants to help you take the next step. Or you're a blues harmonica player looking to improve your playing. You'd like to deepen your tone; learn tongue-blocking, overblowing, and other advanced techniques. You'd like to add to your repertoire, so you're not just recycling the same old licks. You'd like somebody to help you decode what the masters of the blues harp--Sonny Boy Williamson, Little Walter, Junior Wells, Sonny Terry, Paul Butterfield--are really doing. You can play some harp. But you'd like to transform yourself into a player. 4) How does your downloading process work? What happens if something goes wrong? Whoever you are, you've come to the right place. Although Google insists that ModernBluesHarmonica.com is one of the top-ranked blues harmonica websites in the world, it also remains an underground phenomenon. It's a one-man shop: a labor of love created by a slightly crazed visionary (me) who enjoys sharing what he knows with YOU. The rough edges are a part of my teaching philosophy. The more thorougly you rationalize a knowledge delivery system, the more likely you are to lose some of the grit, the funk, the wildness. But it also takes a deep knowledge-base and the ability to communicate effectively to make music DOABLE. Otherwise the blues harmonica "teacher" is just flapping his hands and jiving. My teaching method plants itself at the intersection of soulful passion and myth-busting clarity, all of it grounded in my career as a working pro. I've played thousands of gigs and every major festival; blues DJs around the world play my stuff. Now I've brought it back home to Mississippi. I'm ready for you, if you're ready for me. The back-porch intimacy of my videos, combined with the precision of my hand-drawn tab sheets, will take you deep into the woods and out into a clearing. Before you know it, you WILL be making those bluesy sounds on your harmonica. The heart of this website is The Store. What you'll find there is a series of links to Tradebit.com, a filehosting site at which I've uploaded a series of blues harp lessons: instructional videos and tabs. Many of them are materials that I've worked up for my private harmonica students over the past 20 years. Some of them are original compositions designed to introduce basic techniques. Others are transcriptions of classic harp-based tunes such as Big Walter Horton's "Easy" and Paul Butterfield's "Born in Chicago." The internet has changed the game. Online instruction is the future of blues harmonica--AND THE FUTURE IS HERE. For a modest per-song fee, submitted through PayPal, you can download one of these lessons. Each is available as two parts: a QuickTime video ($5) and a PDF tab ($2). The tabs are always shown on camera--one of my key teaching tools is to walk you through the tab, note by note--but the moderate compression level that makes for workable video downloads means that some details are in soft-focus, and many students will want a hard copy of the tab as well. You can purchase either the video or the tab or both, as you see fit. I've been developing these materials for many years. They WORK. They will improve your playing in ways that your friends and family (including doubters) will find startling. If you want proof, just hit the link for the Testimonials page below. You WILL learn to play harmonica here! If you've already got some game, you'll kick it up a notch, or two, or three. The lessons are sorted into four levels: BEGINNER, ADVANCED BEGINNER, INTERMEDIATE, and ADVANCED INTERMEDIATE. Take a look at the page marked "What level are you?" and figure out where YOU fit in. Many lessons are appropriate for students at several levels. They'll challenge the better player less than the not-as-experienced player, but both students will gain something from them. A word about my tabs: Many years ago, when I got my first harmonica teaching gig at the Guitar Study Center in New York, I purchased a few of the commercially available instruction books. Most of them used standard harp tablature--numbered arrows pointing up and down--but none of them indicated, with even minimal precision, the duration of each note, not to mention the rhythmic emphases (the "swing") that made for real blues. A few of them offered this information in the form of actual musical notation instead of tablature, but like most harp players, I didn't read music. So I developed my own form of tablature from scratch. Like standard harp tabs, my tabs give you numbers and arrows to indicate the hole you play and whether it's draw or blow. But my tabs also give you a precise rhythmic count underneath the arrows. I'm a stickler about counting time. If you can't count your way through a tab, you can't play the song with the precision and intensity it deserves. No matter what level you are, I believe in treating you like a serious musician. Counting time accurately is part of what it means to be a musician. My tabs ground you in rhythmic fundamentals. Most of them are hand-drawn, but please don't confuse this handmade aspect with carelessness or lack of precision. I take pride in my work. You can find a few other accurate, precision-engineered harp transcriptions on the web--Glenn Weiser and David Barrett are both excellent--but my tabs offer a combination of accuracy, accessibility, and an attention to syncopation that makes them unique. This website will help you find out more about the life journey that helped me develop my own musicality. Please take a look at the pages marked "Satan and Adam" and "Adam's biography." They'll answer many of your questions in this direction. The pages marked "AG music for sale" and "AG books for sale" will offer you links to Tradebit and Amazon, where you can purchase the music I've made with Satan and Adam, Charlie Hilbert, and on my own, as well as the three blues-themed books I've written. The page marked "AG gigs" will tell you where you can catch me in action as a harmonica teacher and performer. In my daily life I'm an associate professor of English and Southern Studies at the University of Mississippi, where I teach courses on blues literature and culture and a range of other topics. The pages I haven't mentioned yet are part of the journey, too. These include a FAQs page, a lively and popular forum, and specific recommendations for those looking to purchase harmonicas, harp mics, and harp amps. 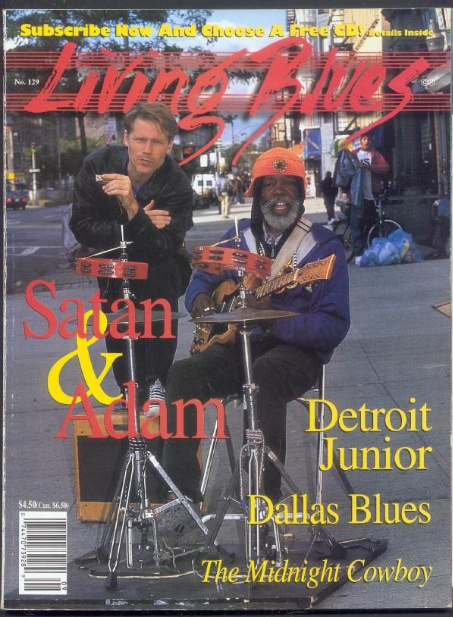 I'm particularly proud of the pages where I point you towards the Top-10 and Second-10 all-time blues harmonica greats. There's also a page filled with icons that represent the classic blues harp albums I learned from, many years ago when the world was young and neither iTunes nor Amazon had been invented. Luckily, much of that vinyl is available in digital form. 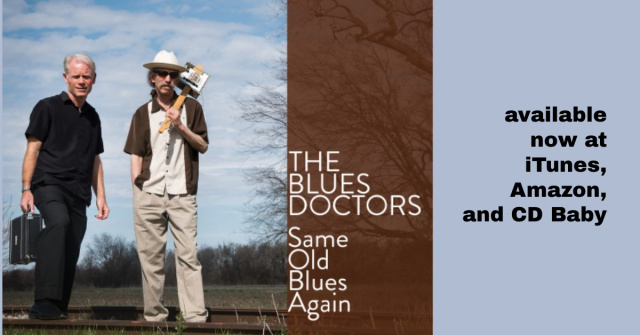 Finally, there's a new forum dedicated specifically to harmonica-friendly blues jams. If you're looking for some live action, you'll want to check it out. Welcome to the site! Please stay a while and look around. 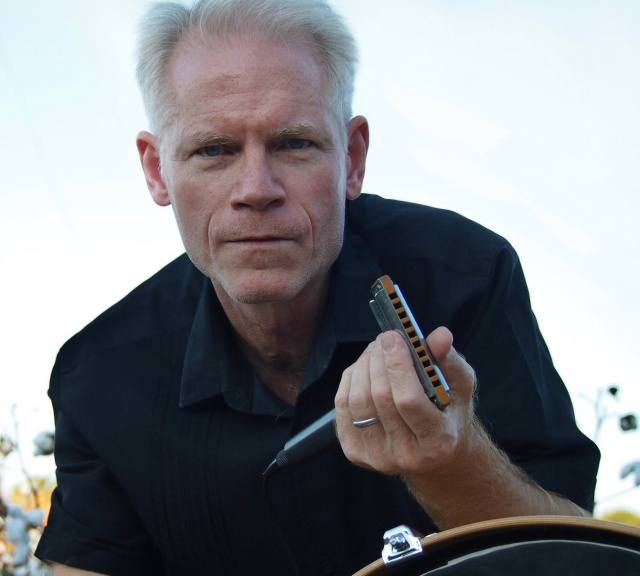 How to Play Slow Blues: North Mississippi Front-Porch Blues Harp Lesson from Adam Gussow on Vimeo. Special thanks to Adam Marsh (a.k.a. Kyser Sosa) for the new Modern Blues Harmonica logo.